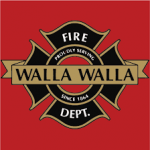 WALLA WALLA, Washington – The concept of having a Rural Fire Authority is catching fire between the fire departments Walla Walla County and the cities of College Place and Walla Walla. Yancey said he does have a phone call out to a consultant and hopes to hear back sometime this week. The primary task of the consultant, as Yancey put it, will be to collect information. “You got revenue, expenditures, governance, plans, what do you do with all the equipment, how do you merge all three of this into one department and what would it look like; a lot of data collection on response and station locations and all that,” Yancey said. In regards to station location, Yancey doesn’t see any changes to that, but said there may be some movement of paid staff to even out the response. Yancey estimates a price of $40,000 to $60,000 for the consultant to walk all three departments through the four- to five-month process. In November, College Place started a Basic Life Support ambulance service and now Walla Walla County Fire District No. 4 has begun an Advanced Life Support ambulance service. Yancey added these numbers are also something the consult will be taking a close look at, including types of calls, where they’re at and who can respond the quickest.